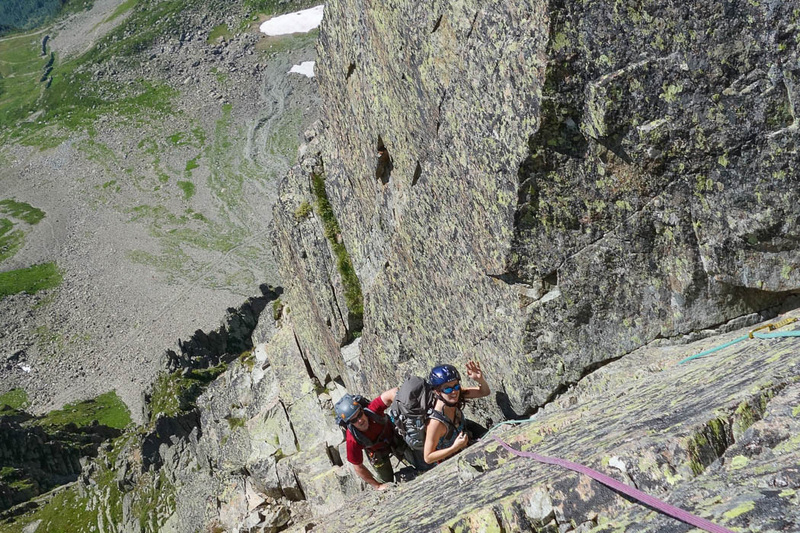 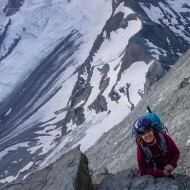 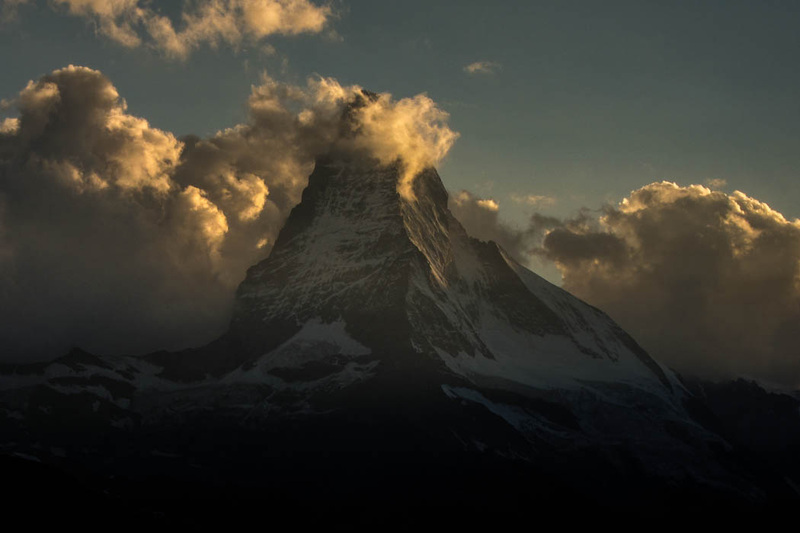 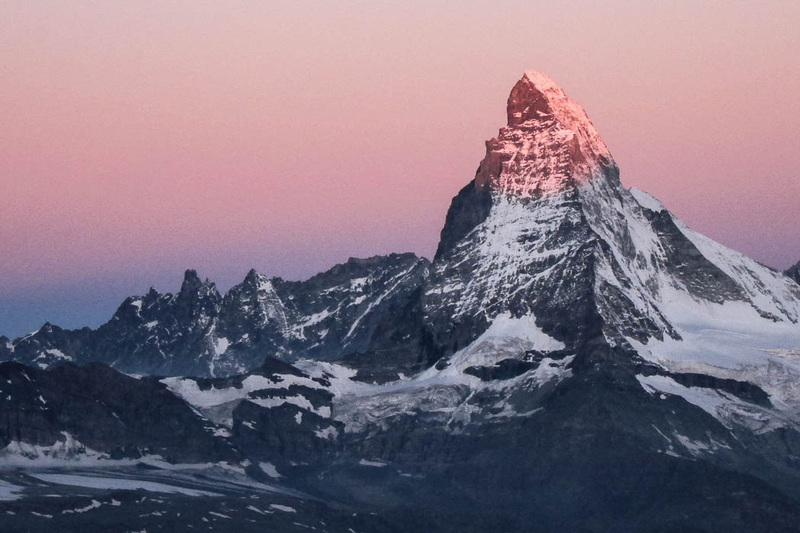 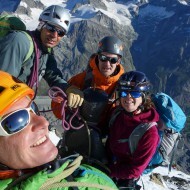 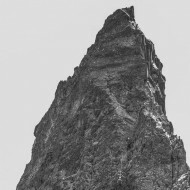 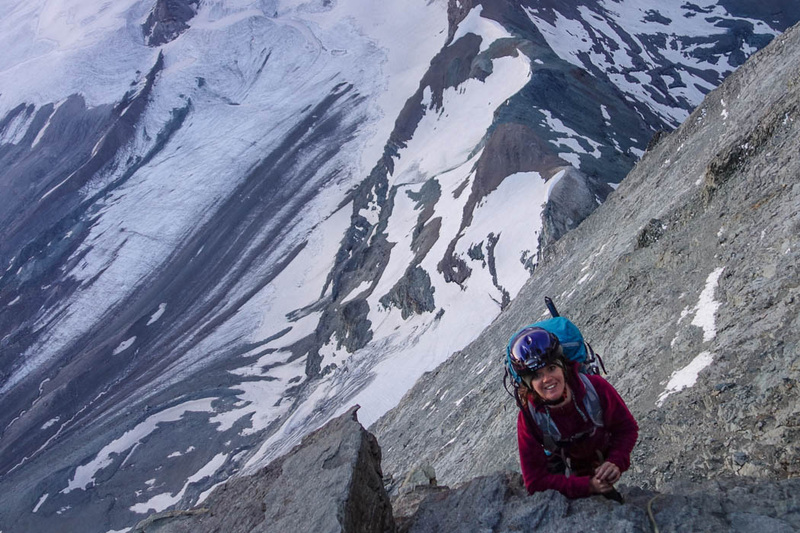 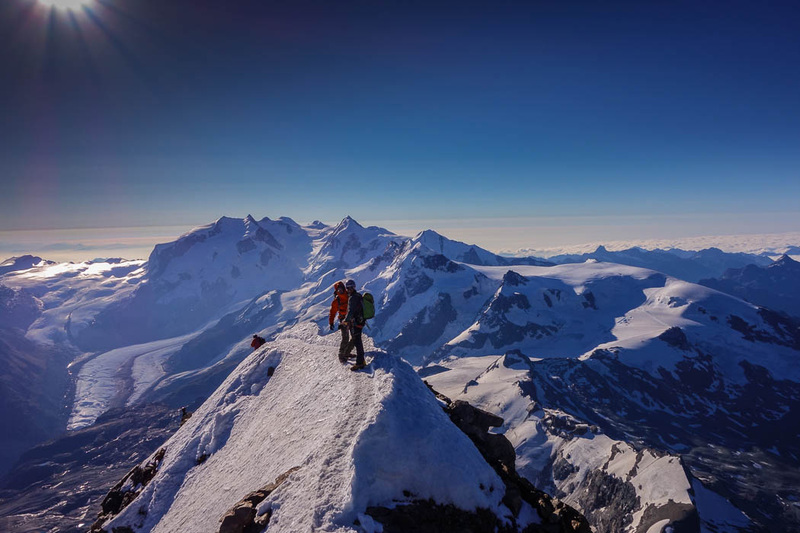 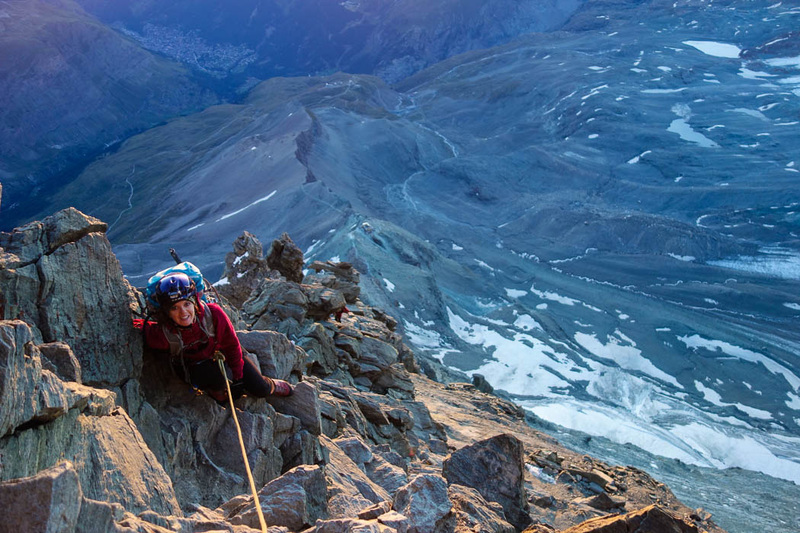 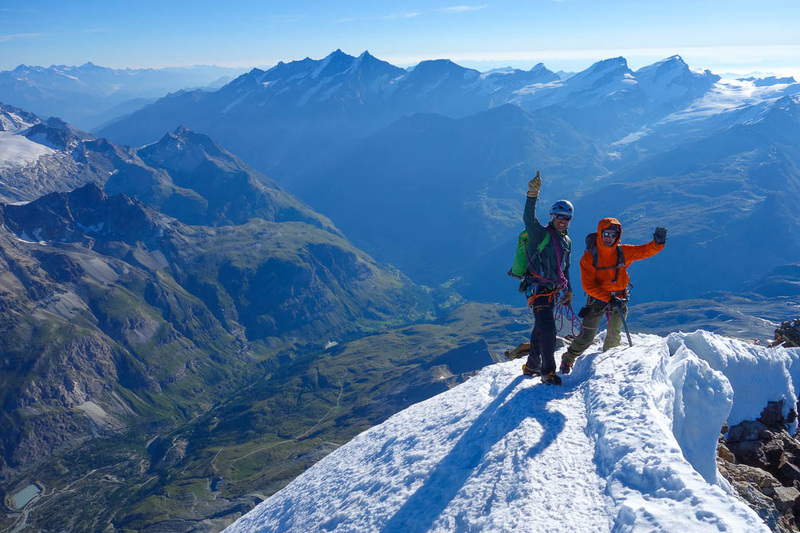 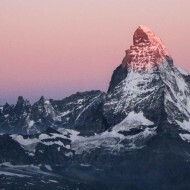 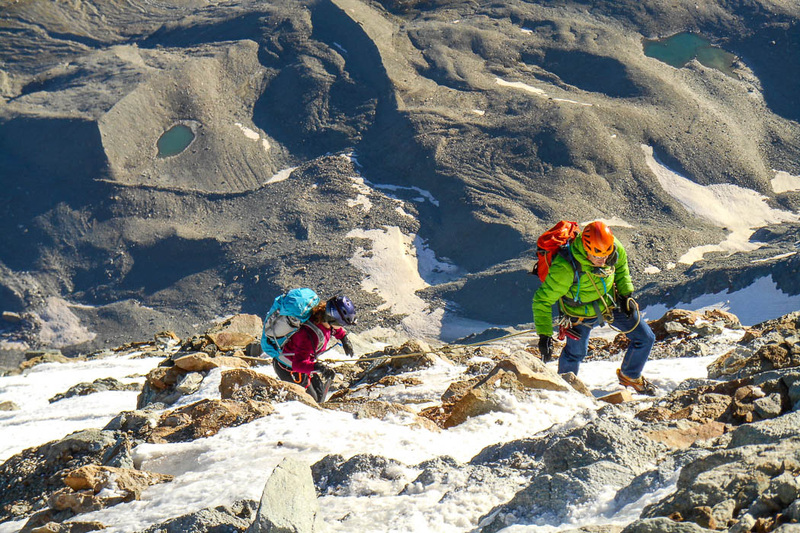 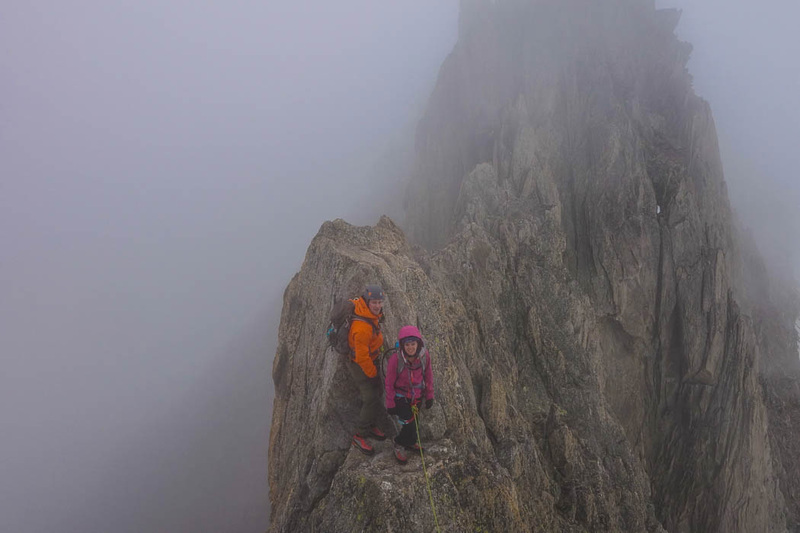 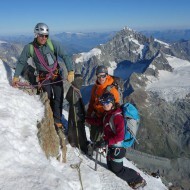 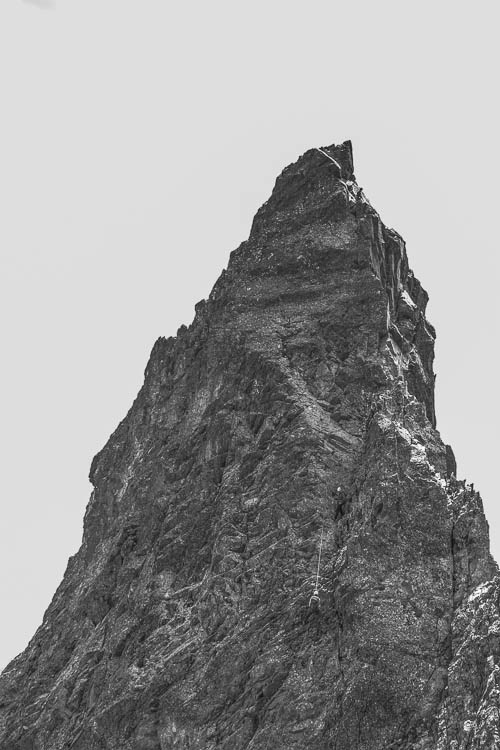 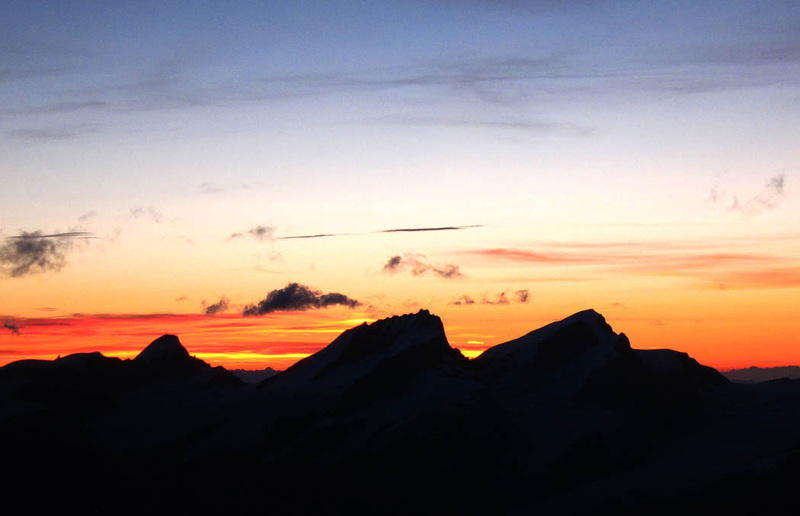 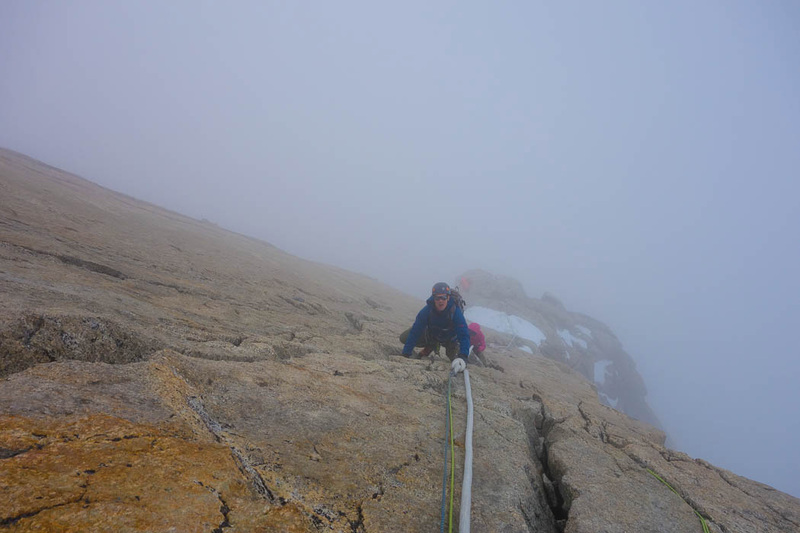 This week in July 2013 we had dry conditions on the Matterhorn and mostly good weather. 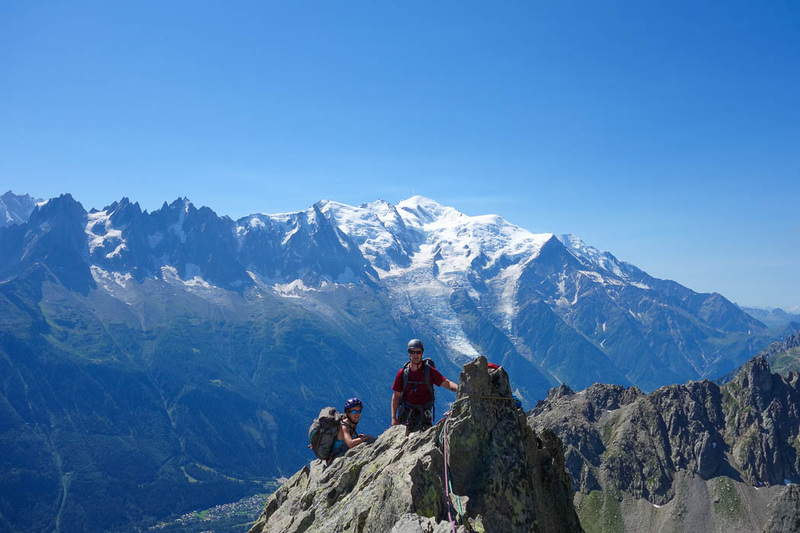 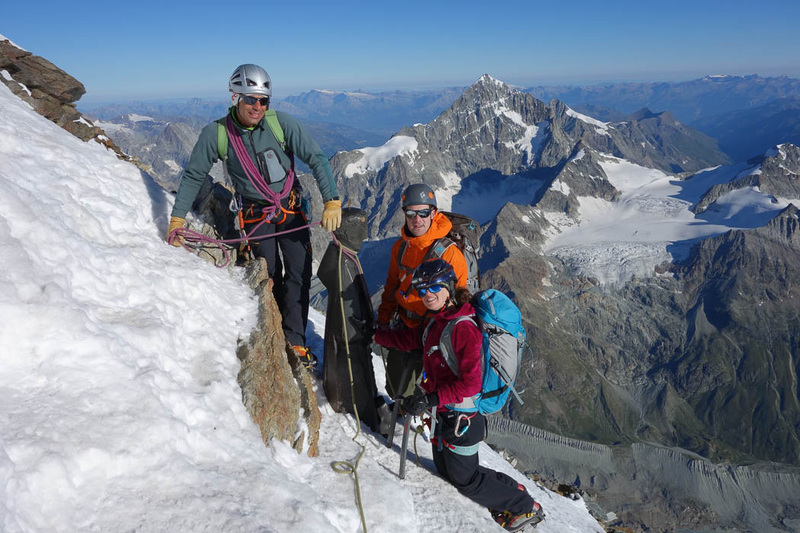 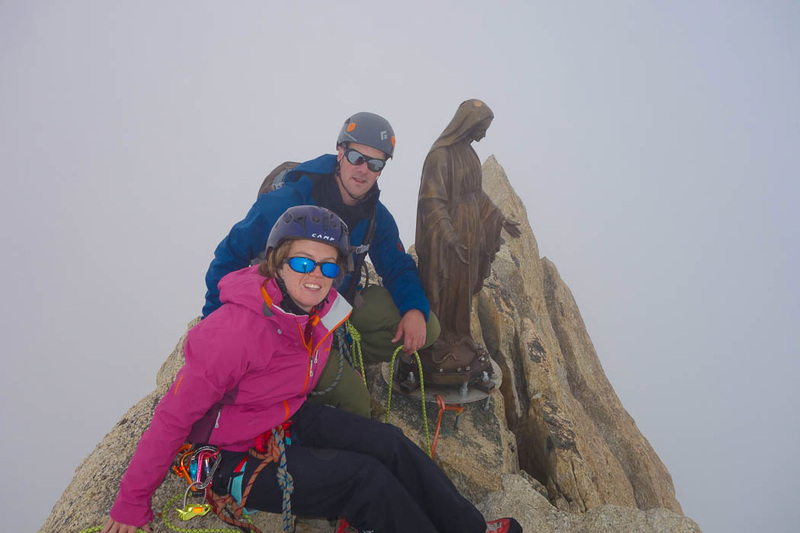 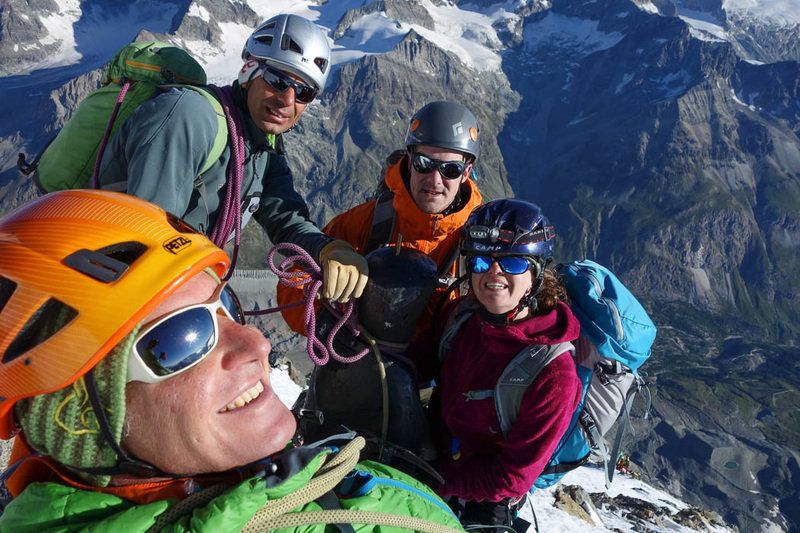 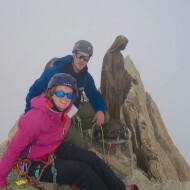 Katherine and Erik climbed with Wolfgang for 3 days in Chamonix before climbing the Matterhorn, accompanied by our 2nd guide Nikos. 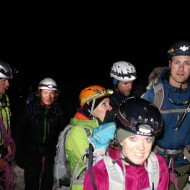 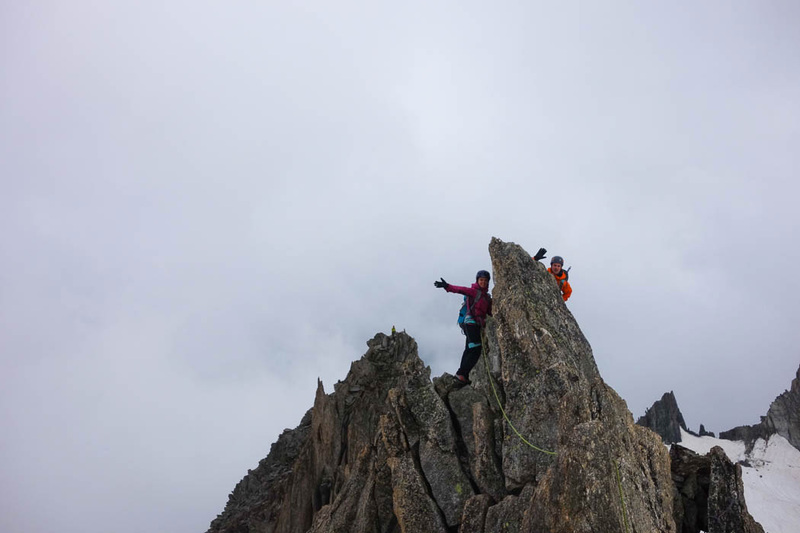 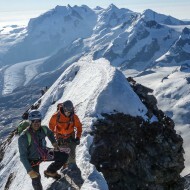 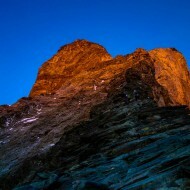 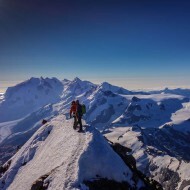 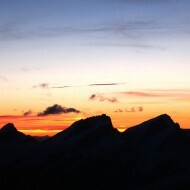 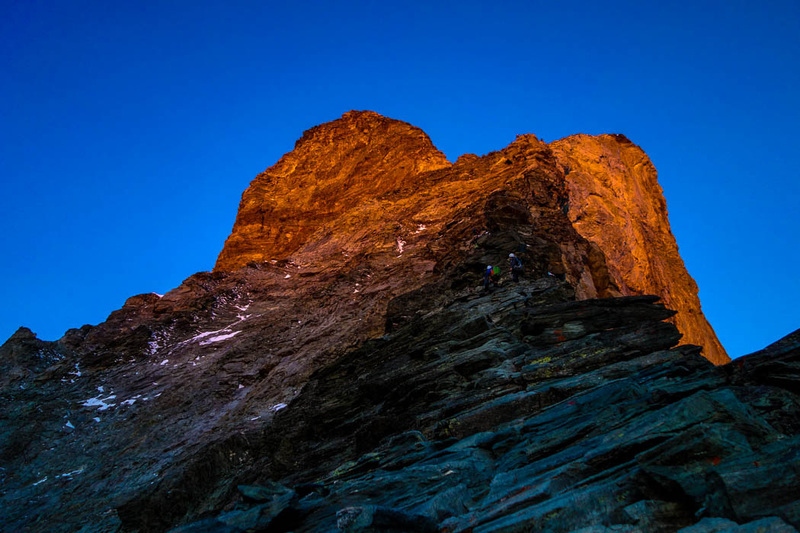 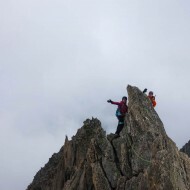 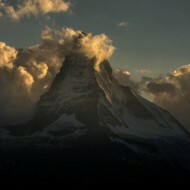 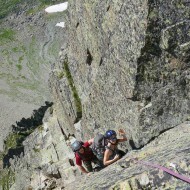 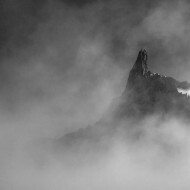 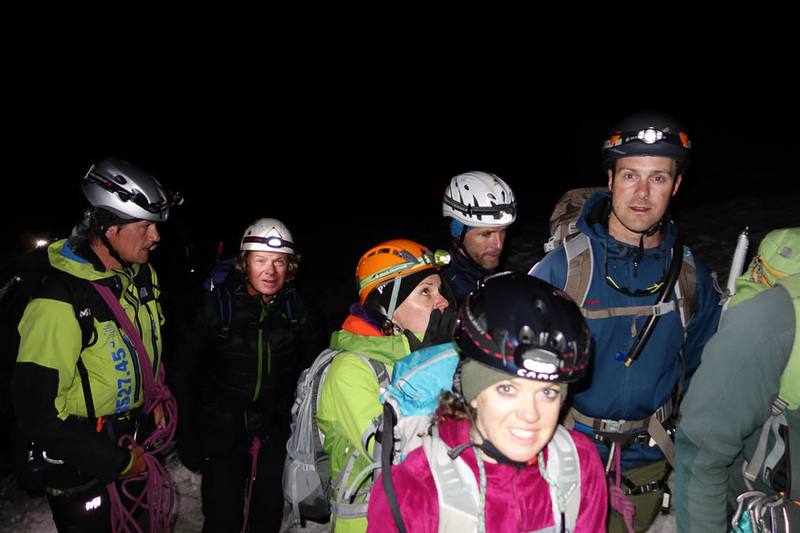 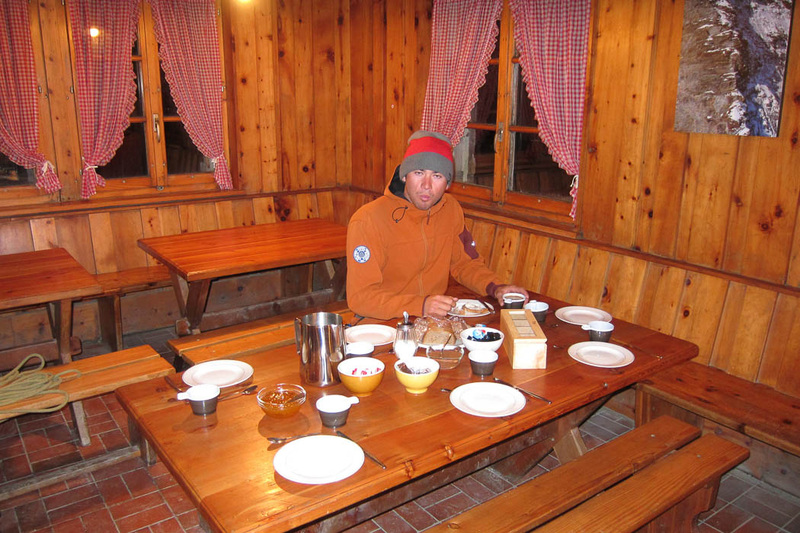 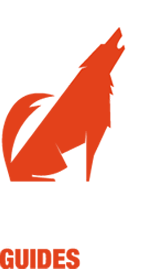 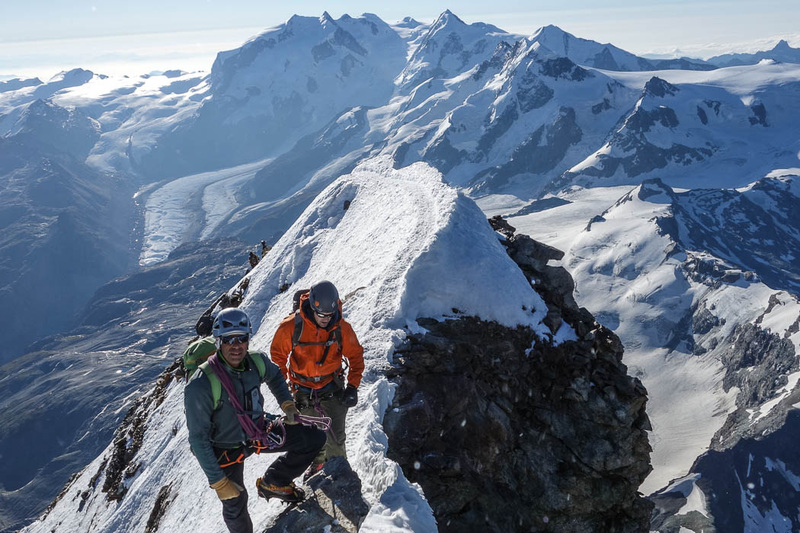 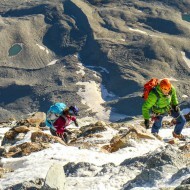 The 5 days could be carried out exactly like planned, like we prefer to do it on a typical Matterhorn course. 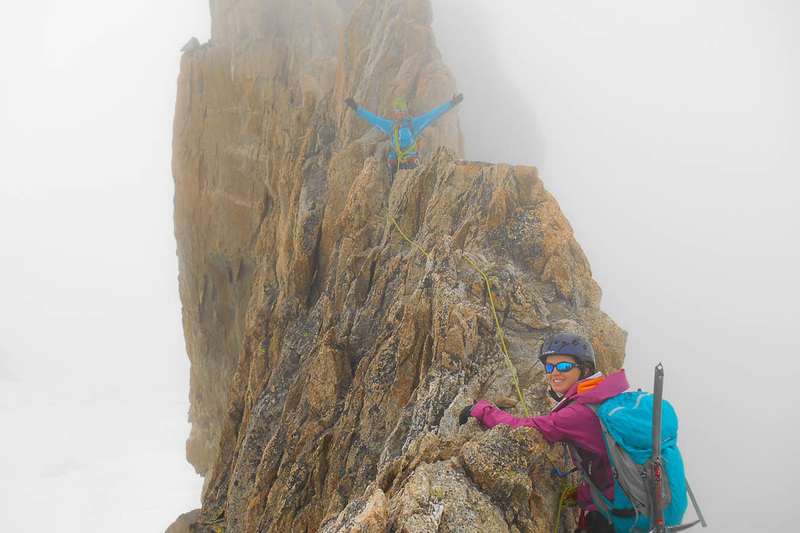 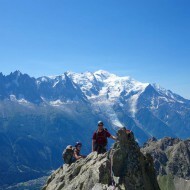 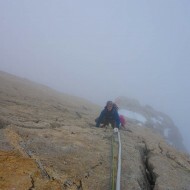 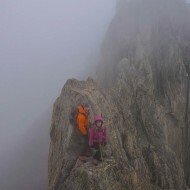 The extra weather day (day 6) we spent on an alpine rock climb in Chamonix. 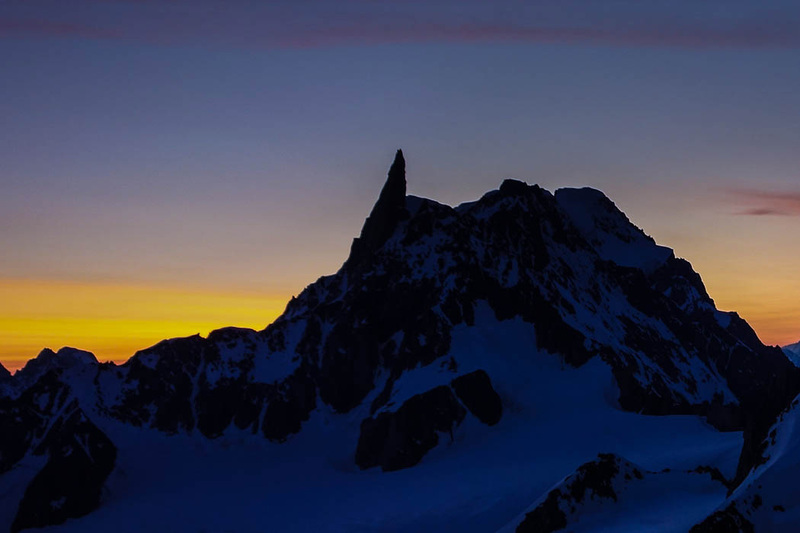 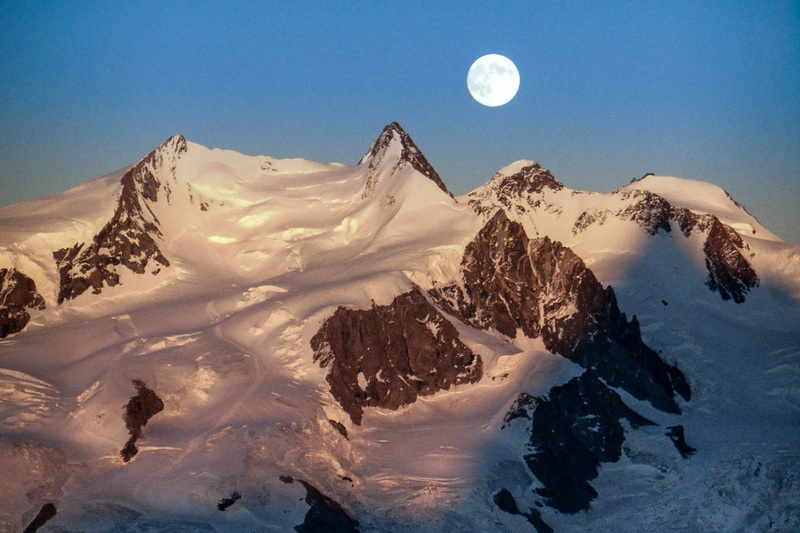 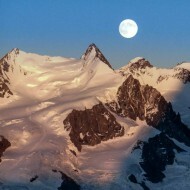 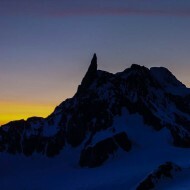 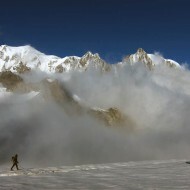 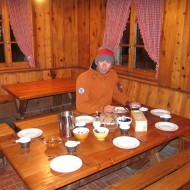 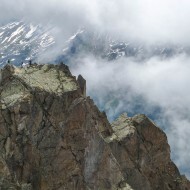 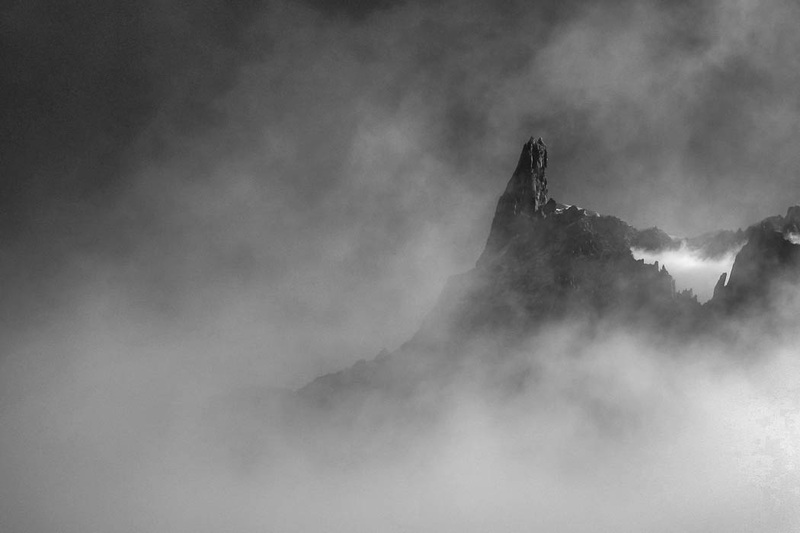 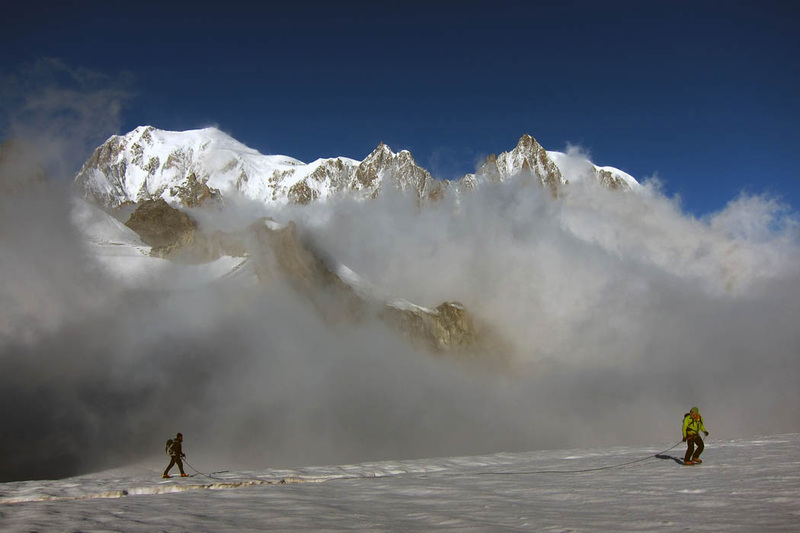 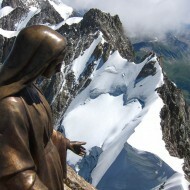 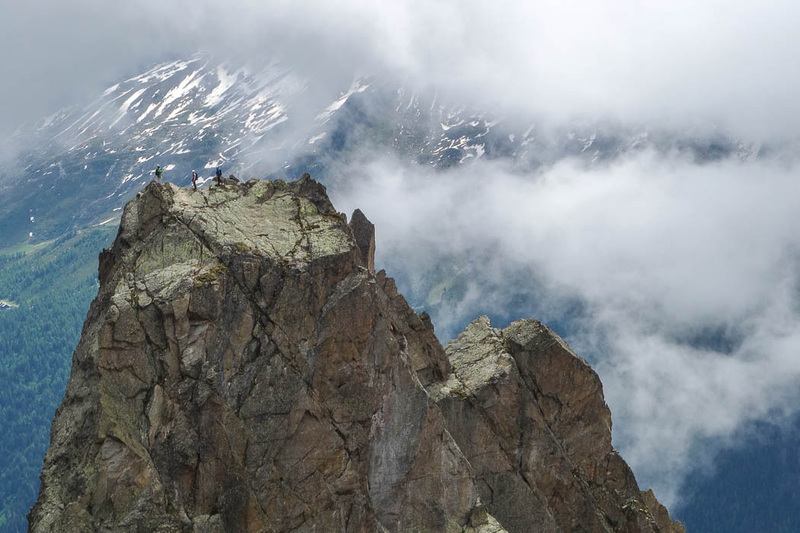 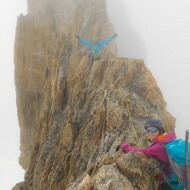 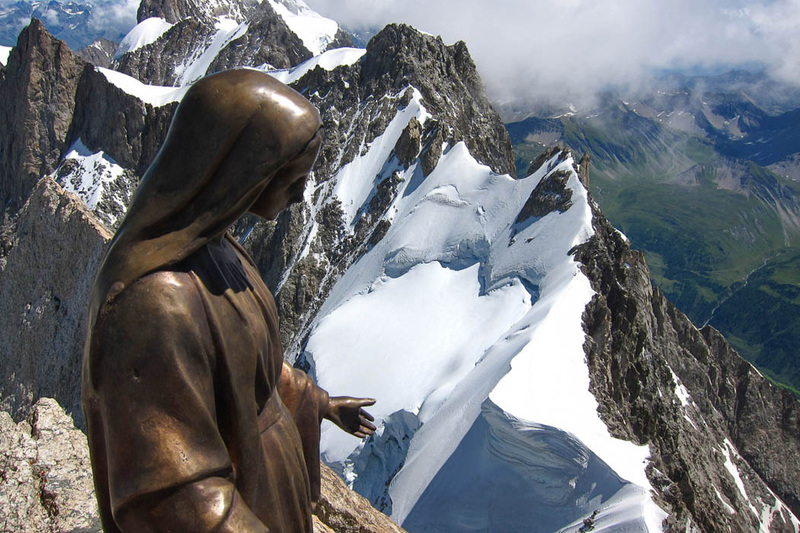 Locations: Chamonix and Swiss Valais.